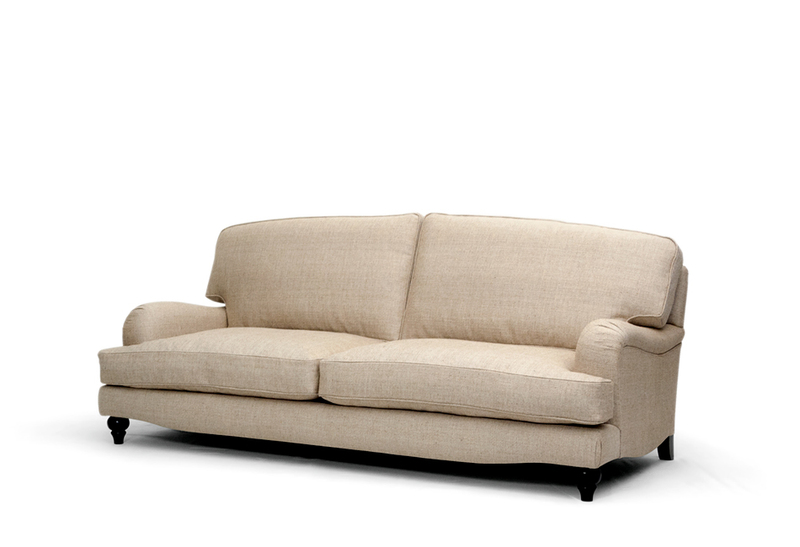 Inspired by English country life with soft curves and elegant features. 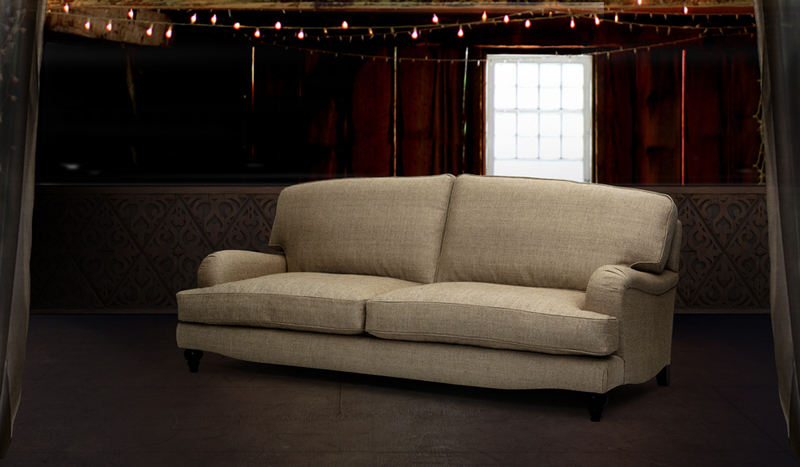 Designed for comfort and relaxation, the Memphis is a modern echo of Edwardian restraint. Upholstered in a Larforma Linen PO_02 and black stained feet. Handmade in solid wood and poplar plywood and equipped with elastic straps. Back cushions in Foam and Feather mix. One lavishly seat cushion in 100% PU standard Foam. Foam in 100% PU with BS fire specifications or Fire retardant interlining is available upon request. Available in Mahogany, beech wood stain or lacquer in all RAL colors, Gold or Silver Leaf. Equipped with Silver or Gold Castor.